These general conditions (hereinafter the "General Conditions") govern the use of the website service www.alhambra.org (hereinafter, "page") that La Asociación Pedagógica y Cultural Alhambra, entered in the Register Mercantile Granada, 02/4911, Sección 1www.alhambra.org makes available to Internet users. The use of the Web user attributes the condition of the Site (hereinafter the "User") and expresses the full and unreserved acceptance of the User of each and every one of the General Conditions in the version published by alhambra.org in the moment the user accesses the page. Consequently, the user must read carefully the General Conditions in each of the occasions on which she intends to use the Website. The use of certain services offered to users through the Site is subject to specific conditions, according to the case, substitute, complete and / or modify the General Conditions (hereinafter the "Conditions"). Prior to the use of these services, therefore, the user must also read the relevant Conditions. Likewise, the use of the Service is subject to all notices, use regulations and instructions made known to the user by alhambra.org, completing the provisions of these General Conditions do not oppose them. From our pages, you can book tickets and buy all kinds. Our services are geared not only to travel agencies but also to individuals, cultural organizations, businesses and schools. 3. OBLIGATION TO MAKE PROPER USE OF THE WEBSITE AND SERVICES. The User agrees to use the Site and the Services in accordance with the law, these General Conditions, as well as morality and generally accepted customs and public order. The User agrees not to use the Site and the Services for illegal purposes, contrary to the provisions in these General Conditions, prejudicial to the rights and interests of others, or in any way damage, disable, overburden, or impair the Site and the Services or impede the normal use or enjoyment of the Site and the Services by Users. 4. FOR OBTAINING MEDIA CONTENT. The User shall not obtain or attempt to obtain information, messages, graphics, sound files and / or images, photographs, recordings, software and, in general, any kind of material accessible through the Web or Services (hereinafter, the "Content") using means or procedures other than those which, as the case may have been placed at his disposal for this purpose or have indicated for this purpose on web pages where you find the contents or, in general, which is used on the Internet for this purpose provided they do not involve a risk of damage or disable the Site, the Services and / or the Content. The User agrees to use the Contents diligently, correctly and lawfully and, in particular, you agree to refrain from (a) use the Content in a manner or for purposes contrary to law, morals and decency generally accepted public policy, (b) reproducing, copying, distributing, allowing public access through any form of public communication, transforming or modifying the Contents, unless with the authorization of the copyright holder or it is legally permitted, (c) remove, circumvent or manipulate the "copyright" and other data identifying the rights holders alhambra.org or included in the content, as well as technical protection devices, fingerprints or other information mechanisms that might contain the contents. 6. Introduction of hyperlinks that allow ACCESS TO THE WEB SITES AND SERVICES. (F) the web page where the Hyperlink is established will not contain information or illegal, contrary to morals and generally accepted good customs and public order, nor does it contain contents that infringe the rights of others. The establishment of the hyperlink does not imply in any case the existence of relationships between alhambra.org and the owner of the website in which it is established, nor acceptance and approval by alhambra.org of its contents or services. To use any of the Services, users must provide certain information prior to alhambra.org personal (hereinafter "Personal Data"). alhambra.org will treat personal data with the purposes and under the conditions defined in the Data Protection Policy published in the section of the same name available on the Website. User acknowledges and voluntarily accepts that the use of the Site, Services and Content is, in any case, your sole and exclusive responsibility. 9. EXCLUSION OF WARRANTIES AND LIABILITY. 9.1. 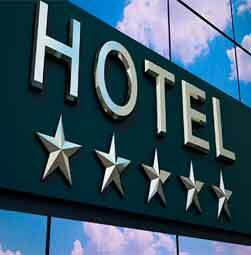 Disclaimer of warranties and liability for the operation of the Site and the Services. 9.1.1. Availability and continuity, usefulness and fallibility. alhambra.org not guarantee the availability and continued operation of the Site and the Services. When reasonably possible, prior notice alhambra.org interruptions in the operation of the Site and Services. alhambra.org not guarantee the use of the Site and the Services to perform any particular activity, nor its infallibility, particularly but not exclusively, that users can effectively use the Site and the Services, access to the different pages that make up the page or those from which services are provided. alhambra.org DISCLAIMS ANY LIABILITY FOR DAMAGES OF ANY KIND ARISING FROM THE LACK OF AVAILABILITY OR CONTINUATION OF THE OPERATION OF THE SITE AND SERVICES, THE LACK OF UTILITY USERS TO HAVE ATTRIBUTED TO THE PORT AS SERVICES, FALLIBILITY PAGE AND SERVICES, AND IN PARTICULAR BUT NOT EXCLUSIVELY, FOR FAILURE TO ACCESS TO OTHER WEB PAGES OF THE SITE OR THOSE FROM WHICH THE SERVICES ARE PROVIDED. 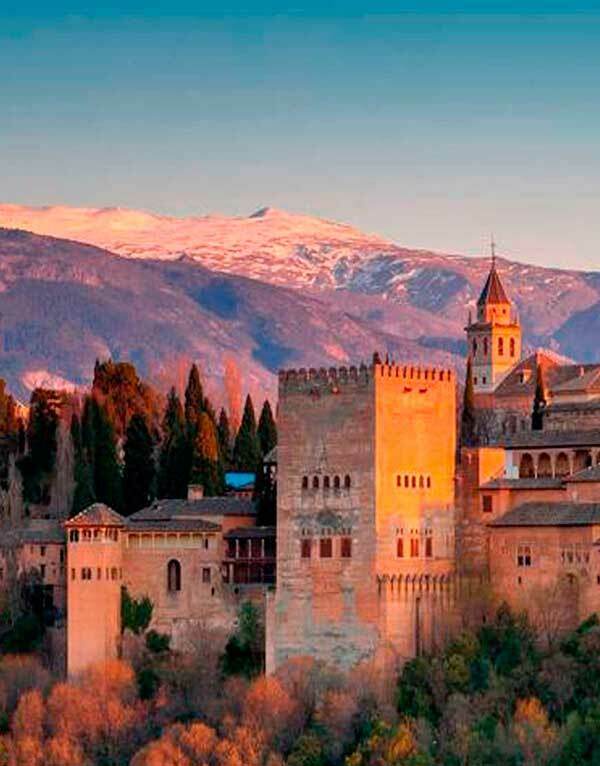 alhambra.org not guarantee the privacy and security of the use of the Site and the Services and, in particular, does not guarantee that unauthorized third parties may be aware of the nature, conditions, characteristics and circumstances of use that users make the Site and the Services. alhambra.org DISCLAIMS ANY LIABILITY FOR DAMAGES OF ANY KIND ARISING FROM THE KNOWLEDGE THAT MAY BE UNAUTHORIZED THIRD CLASS, CONDITIONS, CHARACTERISTICS AND CIRCUMSTANCES OF THE USERS THAT USE OF THE WEBSITE AND SERVICES. 9.2. Disclaimer of warranties and liability for the contents. alhambra.org not control or guarantee the absence of viruses or other elements in the Contents that may alter your computer system (software and hardware) or electronic documents and files stored on your computer system. alhambra.org DISCLAIMS ANY LIABILITY FOR DAMAGES OF ANY KIND ARISING FROM THE PRESENCE OF THE PRESENCE OF VIRUSES OR OTHER COMPONENTS THAT MAY CAUSE THE CONTENT CHANGES IN THE SYSTEM, ELECTRONIC DOCUMENTS OR FILES. alhambra.org not guarantee the legality, reliability and usefulness of the Contents. alhambra.org DISCLAIMS ANY LIABILITY FOR DAMAGES OF ANY KIND ARISING FROM THE TRANSMISSION, DISSEMINATION, STORAGE, AVAILABILITY, RECEIPT, OBTAINING OF OR ACCESS TO THE CONTENT, AND IN PARTICULAR BUT NOT EXCLUSIVELY, FOR THE DAMAGES ARISING FROM (A) BREACH OF THE LAW, MORALITY AND GENERALLY ACCEPTED GOOD PUBLIC ORDER AS A RESULT OF THE TRANSMISSION, DISSEMINATION, STORAGE, AVAILABILITY, RECEIPT, OBTAINING OF OR ACCESS TO THE CONTENTS (B) THE INFRINGEMENT OF INTELLECTUAL PROPERTY, TRADE SECRETS, OF CONTRACTUAL COMMITMENTS OF ANY KIND OF RIGHTS TO REPUTATION, PERSONAL AND FAMILY PRIVACY AND IMAGE OF THE PEOPLE'S RIGHTS AND ALL OTHER PROPERTY BELONGING TO A THIRD PARTY AS A RESULT OF THE TRANSMISSION, DISSEMINATION, STORAGE, AVAILABILITY, RECEIPT, OBTAINING OF OR ACCESS TO THE CONTENT, (C) THE PERFORMANCE OF ACTS OF UNFAIR COMPETITION OR ILLEGAL ADVERTISING AS A RESULT OF THE TRANSMISSION, DISSEMINATION, STORAGE, AVAILABILITY, RECEIPT, OBTAINING OF OR ACCESS TO THE CONTENT, (D) THE LACK OF TRUTH, ACCURACY, COMPLETENESS, APPROPRIATENESS AND / OR TIMELINESS OF THE CONTENT, (E) The inadequacy FOR ANY PURPOSE AND THE LACK OF EXPECTATIONS GENERATED CONTENT, (F) FAILURE, DELAY IN COMPLIANCE, DEFECTIVE OR TERMINATION FOR ANY REASON OF OBLIGATIONS INCURRED BY THIRD PARTIES AND CONTRACTS WITH THIRD PARTIES THROUGH OR IN CONNECTION WITH ACCESS TO THE CONTENT, (G) THE VICES AND DEFECTS OF ANY KIND IN THE CONTENT, broadcast, STORED, MADE AVAILABLE OR TRANSMITTED OR OTHERWISE MADE AVAILABLE, RECEIVED, WHICH OBTAINED OR ACCESSED THROUGH THE SITE OR THE SERVICES. 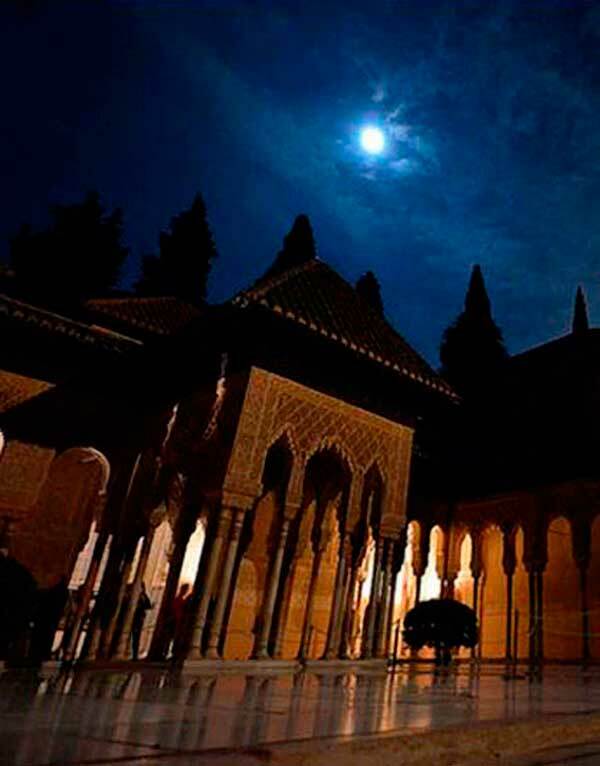 alhambra.org not guarantee the truthfulness, accuracy, completeness and timeliness of the Content. alhambra.org DISCLAIMS ANY LIABILITY FOR DAMAGES OF ANY KIND ARISING FROM THE LACK OF TRUTH, ACCURACY, COMPLETENESS AND / OR TIMELINESS OF THE CONTENT. 9.3. Disclaimer of warranties and liability for the services provided by third parties through the Site. alhambra.org not control or guarantee the absence of viruses or other elements in the services provided by third parties through the Site that may alter your computer system (software and hardware) or electronic documents and files stored on your system computer. alhambra.org DISCLAIMS ANY LIABILITY FOR DAMAGES OF ANY KIND ARISING FROM THE PRESENCE OF VIRUSES OR OTHER HARMFUL ELEMENTS PRESENT IN THE SERVICES PROVIDED BY THIRD PARTIES THROUGH THE SITE THAT MAY CAUSE CHANGES IN THE SYSTEM, DOCUMENTS ELECTRONIC OR FILES. 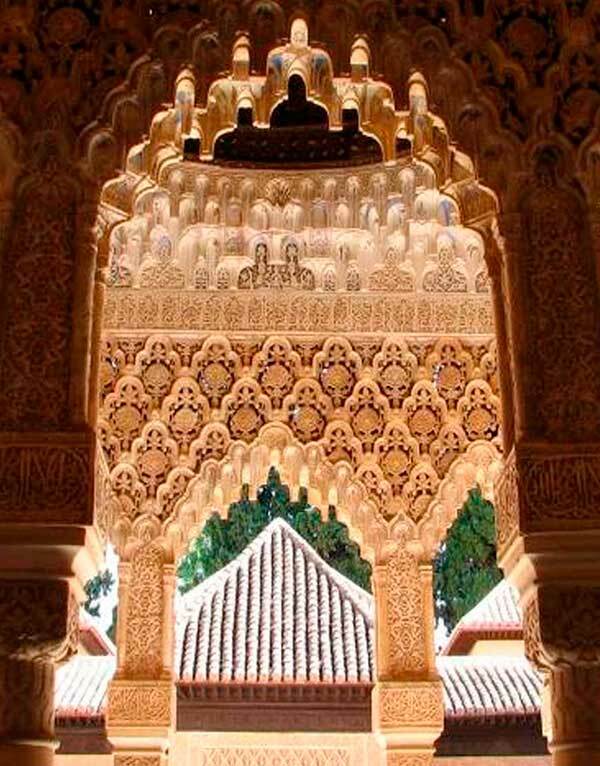 alhambra.org DISCLAIMS ANY LIABILITY FOR DAMAGES OF ANY KIND ARISING FROM THE SERVICES PROVIDED BY THIRD PARTIES THROUGH THE SITE, AND IN PARTICULAR BUT NOT EXCLUSIVELY, FOR DAMAGES ARISING FROM (A ) THE BREACH OF THE LAW, MORALITY AND GENERALLY ACCEPTED GOOD PUBLIC ORDER AS A RESULT OF THE PROVISION OF SERVICES BY THIRD PARTIES THROUGH THE SITE, (B) THE INFRINGEMENT OF INTELLECTUAL PROPERTY, THE CORPORATE SECRETS, OF CONTRACTUAL COMMITMENTS OF ANY KIND OF RIGHTS TO REPUTATION, PERSONAL AND FAMILY PRIVACY AND IMAGE OF THE PEOPLE OF THE RIGHTS OF PROPERTY AND OF ANY OTHER NATURE BELONGING TO A THIRD PARTY AS A RESULT OF THE PROVISION OF SERVICES BY THIRD PARTIES THROUGH THE SITE, (C) THE PERFORMANCE OF ACTS OF UNFAIR COMPETITION OR ILLEGAL ADVERTISING AS A RESULT OF THE PROVISION OF SERVICES BY THIRD PARTIES THROUGH THE SITE, (D) THE LACK OF TRUTH, ACCURACY, COMPLETENESS, relevant and / OR TIMELINESS OF THE CONTENT, broadcast, STORED, receiving, obtaining, MADE AVAILABLE ON OR ACCESSED THROUGH THE SERVICES PROVIDED BY THIRD PARTIES THROUGH THE SITE, (E) THE INADEQUATE FOR ANY PURPOSE AND THE LACK OF EXPECTATIONS GENERATED BY THE SERVICES PROVIDED BY THIRD PARTIES THROUGH THE SITE, (F) FAILURE, DELAY IN COMPLIANCE, DEFECTIVE OR TERMINATION FOR ANY REASON OF OBLIGATIONS INCURRED BY THIRD PARTIES AND CONTRACTS WITH THIRD PARTIES IN CONNECTION WITH OR DUE TO THE SERVICES THROUGH THE SITE, (G) THE VICES AND DEFECTS OF ANY CLASS OF THE SERVICES PROVIDED BY THIRD PARTIES THROUGH THE SITE. 9.4. Disclaimer of warranties and liability for the information, content and services hosted outside of the Site. The page offers the users technical link devices (such as, among others, links, banners, buttons), directories and search tools that allow users to access websites owned and / or managed by third parties (hereinafter "Linked Sites"). The installation of these links, directories and search tools on the Site is intended solely to facilitate the users to search for and access to information, content and services available online. alhambra.org not offer or market, directly or through third parties the information, content and services available on the Linked Sites, nor does it control, approve, supervise or own. The user therefore should exercise caution in evaluating and using information, content and services on the Linked Sites. alhambra.org NO GUARANTEE OR ASSUME RESPONSIBILITY FOR ANY DAMAGES OF ANY KIND ARISING FROM (A) THE OPERATION, AVAILABILITY, ACCESSIBILITY OR CONTINUITY OF THE LINKED SITES (B) THE MAINTENANCE OF THE INFORMATION, CONTENT AND SERVICES EXISTING IN THE LINKED SITES, (C) THE TRANSMISSION OR DELIVERY OF THE INFORMATION, CONTENT AND SERVICES ON THE LINKED SITES, (D) THE QUALITY, LEGALITY, RELIABILITY, AND PERFORMANCE OF THE INFORMATION AND SERVICES CONTAINED ON THE LINKED SITES IN THE SAME TERMS AND WITH THE SAME EXTENT SET FORTH IN THE GENERAL CONDITION 9.2 and 9.3 REGARDING THE CONTENTS AND SERVICES PROVIDED BY THIRD PARTIES THROUGH THE SITE. 9.5. Disclaimer of warranties and liability for the use of the Site, Services and Contents by Users. alhambra.org no obligation and does not control the use that the Users of the Site, Services and Content. In particular, alhambra.org not guarantee that users use the Site, the Services and Content in accordance with these Conditions and, where appropriate, the special conditions that may apply, or do so in a diligent and prudent. alhambra.org has no obligation to check and verify the identity of users or the accuracy, validity, completeness and / or authenticity of the data that users provide about themselves to other users. alhambra.org DISCLAIMS ANY LIABILITY FOR DAMAGES OF ANY KIND ARISING FROM THE USE OF THE SERVICES AND CONTENT BY USERS OR THAT MAY BE DUE TO THE LACK OF ACCURACY, TIMELINESS, COMPLETENESS AND / OR AUTHENTICITY OF THE INFORMATION PROVIDED BY USERS TO OTHER USERS ABOUT THEMSELVES AND IN PARTICULAR BUT NOT EXCLUSIVELY, FOR DAMAGES OF ANY KIND ARISING FROM THE THEFT OF THE PERSONALITY OF A THIRD PARTY BY A USER ON ANY KIND OF COMMUNICATION MADE THROUGH THE SITE. alhambra.org not grant any license or authorization of use of any kind on its intellectual property or other property or right related to the Site, Services or Content, unless expressly authorized. 11. PROCEDURE IN CASE OF CONDUCTING ILLEGAL ACTIVITIES. In the event that any User or third party considers that there are facts or circumstances revealing the illegality of the use of any content and / or carrying out any activity on the web pages included in or accessible through the Web, and, in particular, the violation of intellectual property rights (patents, industrial designs, trademarks, trade names, etc..) or other rights, shall send a notice to alhambra.org in which contain the following extremes: (a) personal data: name, address, phone number and email address of the claimant, (b) specification of the alleged illegal activity carried out on the Web and in particular, in the case of an alleged violation rights, and specific indication of the protected content and its location on the website, (c) facts or circumstances revealing the illegality of the activity, (d) in the case of violation of rights, authentic signature or equivalent to the personal data of the owner of the rights allegedly infringed or person authorized to act on behalf of it, (e) express declaration, clear and under the responsibility of the claimant that the information provided in the notification is accurate and the illegality of the use of the content or carrying out the activities described. The service page and other Services is, in principle, indefinitely. alhambra.org, however, is authorized to terminate or suspend the service of the Site and / or any of the Services at any time, without prejudice to any provisions in this regard in the relevant Conditions. When reasonably possible, alhambra.org prior notice of the termination or suspension of the service page and other services. alhambra.org and the User, expressly waiving any other jurisdiction, submit to the Courts and Tribunals of the city where the service is provided to any dispute that may arise from the provision of services and sale of products subject to those General Conditions. 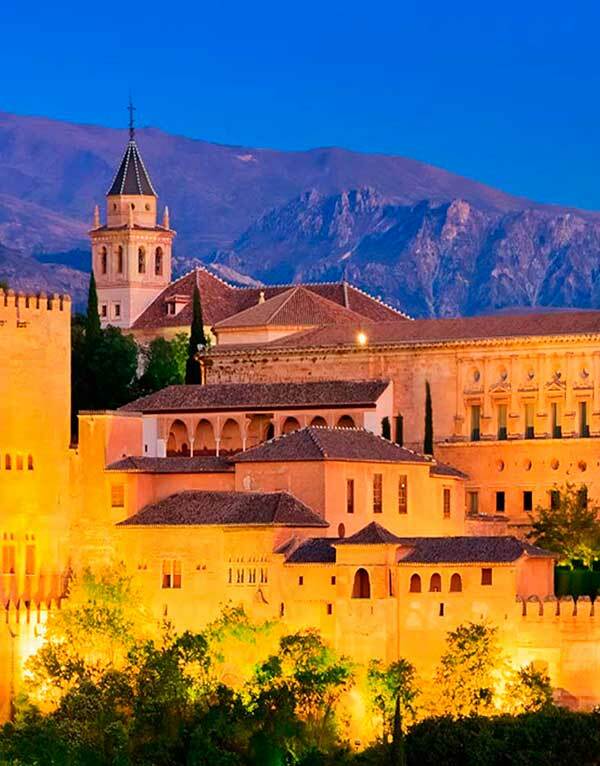 In the event that the user reside outside of Spain, and the User alhambra.org subject, with express waiver of any other jurisdiction to the courts where the service is provided. The declaration of invalidity of one or more of the conditions of purchase imposed, non-essential, will not entail the nullity of the purchase agreement reached, which will remain valid. Buyers residing in the territory within the European Union will be liable to pay value added tax and other taxes. Our store buyers understood as non-EU are exempt from such taxes. In this case will be fully responsible for the payments applicable in their countries of origin, which will be in charge. Copyright. alhambra.org © Todos los derechos reservados.